On November 14, 2015 my amazing boyfriend asked me to be his wife and almost immediately gave me the deadline of 5 months to plan and prepare a wedding and merge our two homes. I had known since the beginning of our relationship that he wasn't fond of long engagements and admittedly the sooner I could marry him the happier I would have been; however, I believe he underestimated just how much there is to do in preparation for a wedding. As the wedding day got closer and closer I found my capacity for other processing almost entirely disabled. A normally organized and alert individual, I began to lose track of dates, tasks, and even people's names. The other day I found myself pondering over the name of a coworker for nearly 3 minutes before it finally made its way out of long term memory. 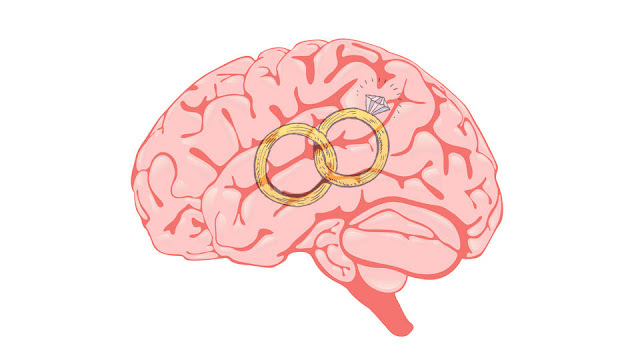 I began using the term wedding brain when I realized that like a pregnant woman I was so focused on this monumental change in my life that I seemed to be forgetting little details. The image that comes to mind is that of the air-headed animated character SpongeBob. In one episode, SpongeBob is asked by his greedy boss Mr. Krabs to free his mind of everything unrelated to fine dining. 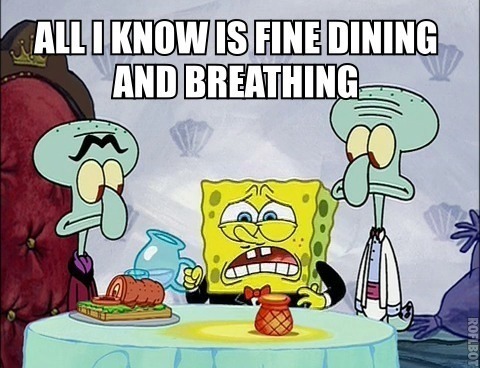 SpongeBob manages to pull off a five-star dining experience for Squidward's frenemy Squilliam Fancyson until Squilliam asks SpongeBob his name. The response is a complete meltdown in which the audience watches hundreds of tiny SpongeBobs try to search filing cabinets for the missing memory in his brain. Fortunately, I've managed to remember my own name it's everyone else's I seem to have trouble with. Despite all the frustration, I've somehow managed to keep everything organized with detailed schedules and to-do lists. The reminders on my IPhone have become my best friend. Plus, whenever I forget something my nightmares never fail to remind me. How do you stay organized amidst the chaos?